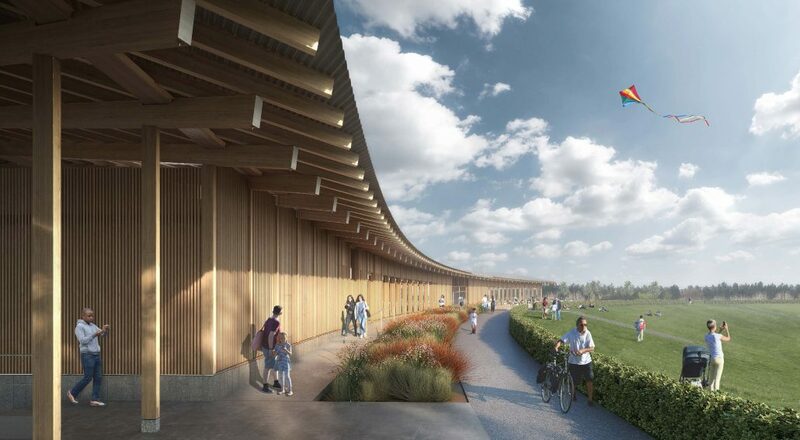 The Parks Trust and Central Milton Keynes Town Council have announced that they are ending their collaboration on a new £4.5m pavilion in Campbell Park, due to difficulties with the lease agreements. The proposed building, by award-winning architects Stanton Williams, was designed to accommodate a performance hall, meeting rooms and community facilities for the Town Council and a visitor information point, public toilets, and café for The Parks Trust. The Town Council will now focus on developing a new community facility on a different site, near Campbell Park. Meanwhile The Parks Trust will explore what can be achieved at the city centre end of the park, where it will concentrate on providing a café, car park and facilities for visitors.